Follow the guide through the art collection at the Maison Armance in Paris. 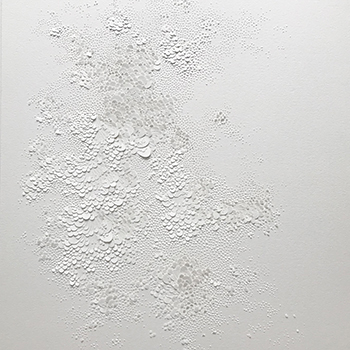 In addition to the delicate decor by Double G at Maison Armance, two works by Lauren Collin were chosen to hang in the hotel lobby located in the 6th floor attics, nose to nose with the Paris rooftops. Lauren Collin uses paper in quite a unique fashion. She actually sculptures it with a surgeon’s scalpel. Her way of cutting creates volume, scales and above all a wonderful dose of refined monochrome poetry. 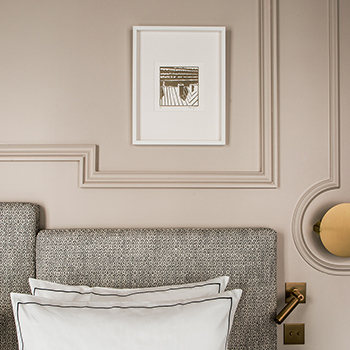 For the rooms, Laurent Letourmy, a trained architect influenced by Martial Raysse, was commissioned to create 20 original prints. His engravings are usually inspired by forests and wildlife; for our hotel he had to examine city life and the rooftops for the new works. His highly simplistic creations seem to transform the initial image into signs and symbols with a more fun-focused approach. Admirers will feel like cats exploring the rooftops of the city. The above works of Art are part of the Esprit de France collection which now boasts over 450 items.